As always I am trying to get more fruits, veggies and fibre into my diet! That’s what inspired my latest experiment. If you are trying to cut down on fat you can replace the butter or oil in any muffin recipe with apple sauce but if you are trying the gluten free version of this recipe at the end with the *** it is best to leave the butter in as the end product will be dry and crumbly. 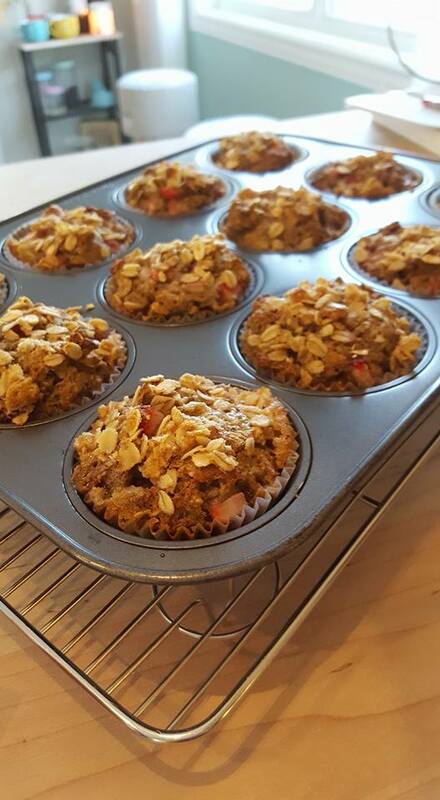 Oatmeal Strawberry Banana muffins. Yum! 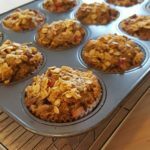 Scoop muffin batter into prepared muffin tins. Bake at 425F for 5 minutes. Keeping the muffins in the oven, reduce the oven temperature to 350F and continue to bake for 12-15 more minutes or until a toothpick inserted in the center comes out clean.